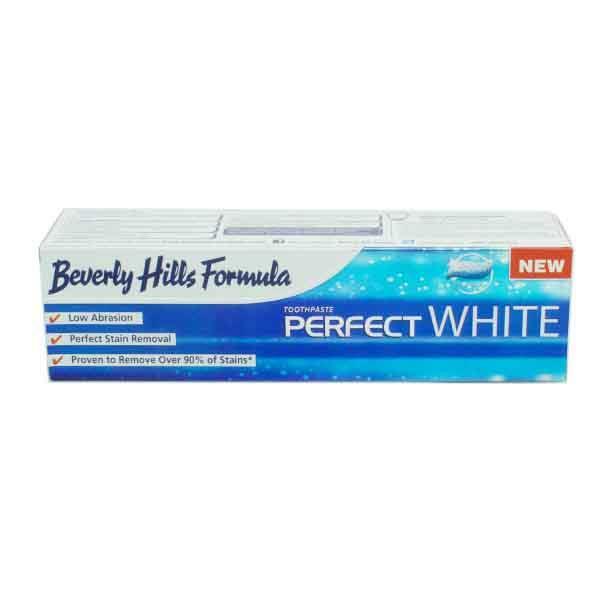 Beverly Hills Formula Perfect White Toothpaste has been proven to remove over 90% of stains. This formula helps to brighten, lighten and whiten your teeth. The stain dissolving agent prevents food particles settling on the teeth while also preventing tartar build up keeping your teeth whiter for longer.